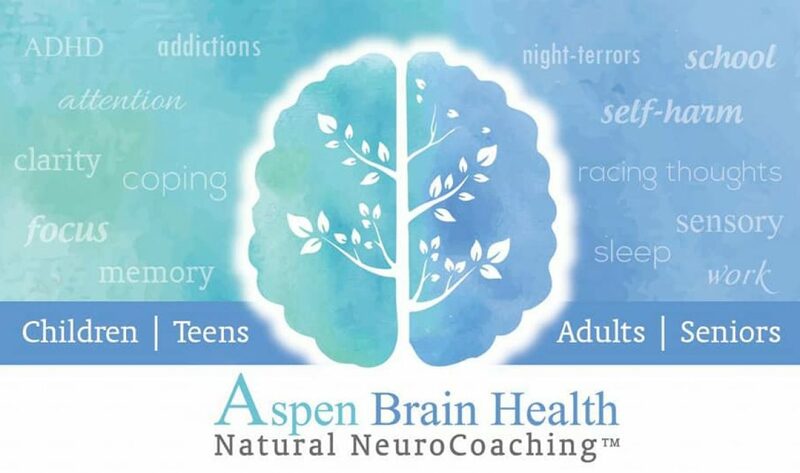 One of the main complaints I hear in my Dr. Amen Brain Health Coaching Practice from parents of young children is regarding night terrors, but they are not isolated to children. I can relate. My earliest memories starting around age two were of nightly night terrors. And I wet the bed until about age ten. According to Nutrition and Mental Illness by Carl C. Pfeiffer, considered one of the foremost experts of all time when it comes to orthomolecular mental health, night terrors are primarily caused by a B6 deficiency. Some primary causes of Night Terrors and Bed-Wetting: A vitamin B6 deficiency, toxicity, abuse, or spiritual/home-life issues can all cause night terrors. Vitamin B6- Night terrors can be alleviated by taking 300-500 mg of B6 per night for weeks or months. Take enough until “pleasant dream recall” is achieved. Watching horror movies or violent or scary video games- even having them present in the home can also trigger night terrors. Spiritual Warfare- Some people describe feeling like they are being suffocating or having pressure on their chest when they awake from a night terror originating from a demonic source. Pray in the name of Jesus, and I will have a future blog dedicated to activations and prayers for sleep. Open Spiritual Doors in your home- Yes, there can be open doors, window, portals, or holes in the spiritual ether of your home.My testimony: weird things started happening in our home. My husband was having dreams of demons and my children all started having night terrors at once. One life-changing night, it was like a massive swirl of darkness filled me. Rage, mixed moods, rapid cycling, and visions of death filled me. It was unlike anything I had experienced before, it was so much worse, and I wanted to throw myself out the window to stop the torture. I had never felt such extreme states before.Unbeknownst to me, I had let a lady do some cranial work on me and attended some yoga classes that had opened some doors in our home (the Lord later showed me in visions what had caused the problem). After many restless nights, we prayed over the house and our children. Their night terrors stopped even though they did not know what had happened or why we were praying. Apparently their nightmares were not caused by a B6 deficiency. When you are a mom and you see your child having nightmares every night for months and then they go away all of a sudden, you know. You just know. Deliverance ministry or praying over your home is a good way to close these doors. “Stuff” in the home: Things like Dream Catchers, idols, statues, pictures, crystals, books and more can be a source of night terrors. Native Indian people, shamans, psychics and more can sometimes see into the spiritual world of darkness in an ‘unauthorized manner’. Dream catchers, or anything having to do with the occult, merely attract evil spirits and demonic activity and provide no means of protection from them. Using dream catchers is an open door and an invitation for more nightmares to join in. Ever felt like a picture was “following” you with it’s eyes? Get rid of it. Books on the occult? Get rid of them. Bed-wetting is a sign of toxicity overload. Minerals help chelate the toxins out of the body, thus reducing the bladder’s urge to get rid of them spontaneously in the middle of the night. This will be discussed more in book three of the Med Free Method™ Book Series: Med Free Child, but following the Med Free Method™ inside my book Med Free Bipolar would be helpful until I can get that book out. We have had many children, especially autistic children, respond to a therapy treatment of Empowerplus Q96 for the brain, detox and it even includes some B6, though not always enough to combat night terrors. Bed wetting has stopped but resumes when the Q96 is discontinued. Abuse and Trauma- Child, Adult, PTSD-related trauma and abuse can also cause night terrors. Empowerplus Q96 is also an effective treatment for PTSD and even has some great studies proving efficacy. Emotional Healing, International Association of Healing Rooms, and other Christian-based therapies can be helpful, in addition to the B6 and Q96. WholeTones music and color therapy is also something I have found to have some success with. So, of the above possible causes, I had several. I was born deficient and had colic and probably toxicity overload, gut issues and more physically. Then I suffered demonic ritual abuse from a relative, and physical abuse at a daycare. I had multiple possible causes for night terrors, but seeming as the fear was removed by a prayer and a wooden cross that my dad made me, (after I sat up in bed and growled at him after one such night terror), mine were likely spiritual-warfare-based. God Has Promised Us Protection Against Nightmares. Psalm 4:8: I will both lay me down in peace, and sleep: for Thou, Lord, only makest me dwell in safety. Psalm 91:5a,6a Thou shalt not be afraid for the terror by night … 6a Nor for the pestilence that walketh in darkness. 1 John 4:18a There is no fear in love; but perfect love casteth out fear. 2. We Shouldn’t Feel Intimidated Or Condemned By Nightmares, But Recognize Them As The Spiritual Attacks Of The Enemy That They Are, And Resist And Overcome Them With The Lord’s Help. 1 Peter 5:8,9a Be sober, be vigilant; because your adversary the Devil, as a roaring lion, walketh about, seeking whom he may devour: 9a Whom resist stedfast in the faith. Psalm 101:3a I will set no wicked thing before mine eyes: … it shall not cleave to me. Psalm 119:37 Turn away mine eyes from beholding vanity; and quicken Thou me in Thy way. Romans 12:9b Abhor that which is evil; cleave to that which is good. 1 Peter 1:13a Wherefore gird up the loins of your mind. 4. Some Bad Dreams come from Simple, Natural Causes, Or Can Be Spiritually Meaningless. Ecclesiastes 5:3a [Going to sleep with our minds still filled with concerns of the day:] For a dream cometh through the multitude of business. Ecclesiastes 5:7 For in the multitude of dreams and many words there are also divers vanities: but fear thou God. Isaiah 29:8a [Something we ate or some unmet physical need:] It shall even be as when an hungry man dreameth, and, behold, he eateth; but he awaketh, and his soul is empty: or as when a thirsty man dreameth, and, behold, he drinketh; but he awaketh, and, behold, he is faint, and his soul hath appetite. 5. Our First And Surest Defense Against Nightmares Is To Pray Against Them! Psalm 34:4 I sought the Lord, and He heard me, and delivered me from all my fears. Matthew 18:18a Verily I say unto you, Whatsoever ye shall bind on earth shall be bound in Heaven. Matthew 18:19 [Ask others to pray with you:] Again I say unto you, That if two of you shall agree on earth as touching any thing that they shall ask, it shall be done for them of My Father which is in Heaven. Philippians 4:6-7 Be careful for nothing; but in every thing by prayer and supplication with thanksgiving let your requests be made known unto God. 7 And the peace of God, which passeth all understanding, shall keep your hearts and minds through Christ Jesus. 6. We Should Also Specifically Ask The Lord For Positive, Edifying, Faith-Building Dreams, Which God Has Promised To Give To His Children. Numbers 12:6b I the Lord will make myself known unto him in a vision, and will speak unto him in a dream. Job 33:15-17 In a dream, in a vision of the night, when deep sleep falleth upon men, in slumberings upon the bed; 16 Then He openeth the ears of men, and sealeth their instruction, 17 That He may withdraw man from his purpose, and hide pride from man. Jeremiah 23:28a The prophet that hath a dream, let him tell a dream; and he that hath My Word, let him speak My Word faithfully. Joel 2:28 And it shall come to pass afterward, that I will pour out My Spirit upon all flesh; and your sons and your daughters shall prophesy, your old men shall dream dreams, your young men shall see visions. Philippians 1:28a And in nothing terrified by your adversaries.